Explore Florida’s past and present at Brevard Zoo’s newest attraction, the Wildlife Detective Field Station! 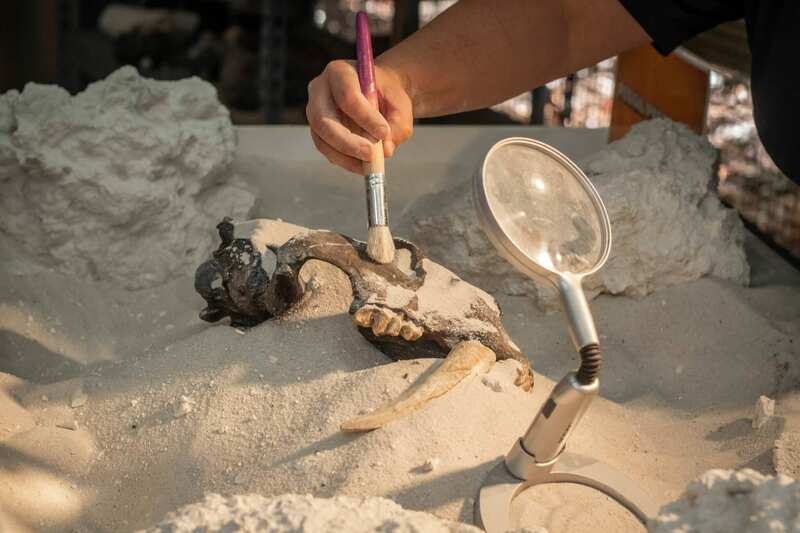 Use scientific tools to uncover real fossils found right here in the Sunshine State. Marvel at the remains of mammoths, giant ground sloths and other prehistoric creatures. Once you’ve brushed up on your fossil knowledge, race to get the top score on the Mystery Trail. With 20 minutes on the clock, assemble a team to find the clues, unlock boxes and solve the puzzle! Last admission into the area is 4 p.m. The last Mystery Trail admission is 4:30 pm. Recommended for ages seven and up.